Telford Offshore is a new company built on years of experience – both in terms of personnel and offshore assets – with the insight and expertise gained from serving the Oil and Gas industry around the world. We offer flexible accommodation and construction services for both greenfield and brownfield projects. Working in partnership with the full range of operators and contractors we add value through our unique combination of flexible assets, know-how and efficiency. The Group is headquartered in Dubai with subsidiaries in key markets around the world. We are led by a seasoned and reputable Management Team, and provide our unique capabilities and project experience in offshore accommodation and construction to a wide range of oil and gas companies in West Africa, Latin America, the Middle East, India and South East Asia. With the aim of making a difference to our clients’ benefit, a single Telford Offshore vessel can transport, lift and install manifolds, assemble platform components, lay pipelines, and carry out offshore or subsea construction in both shallow and deep water – whilst accommodating offshore workers and marine crew for the duration of the project. We offer our clients competitive value and a safe and efficient range of services, even in the harshest environments. 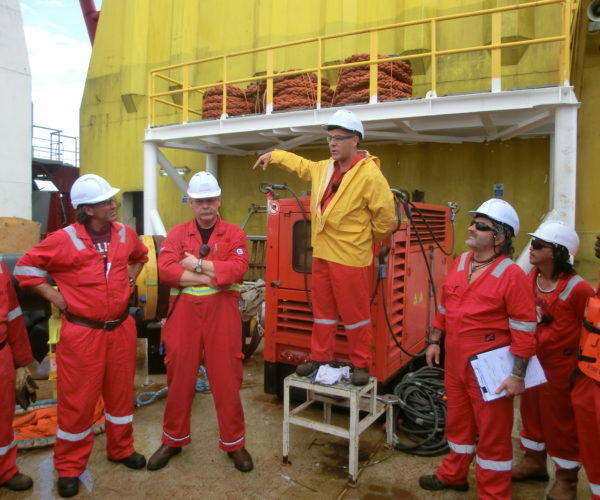 To be a trusted partner providing cost-effective and safe access to and support of offshore work sites. Supported by our multi-purpose DP3 assets, team spirit and productive solutions, we deliver more for less.